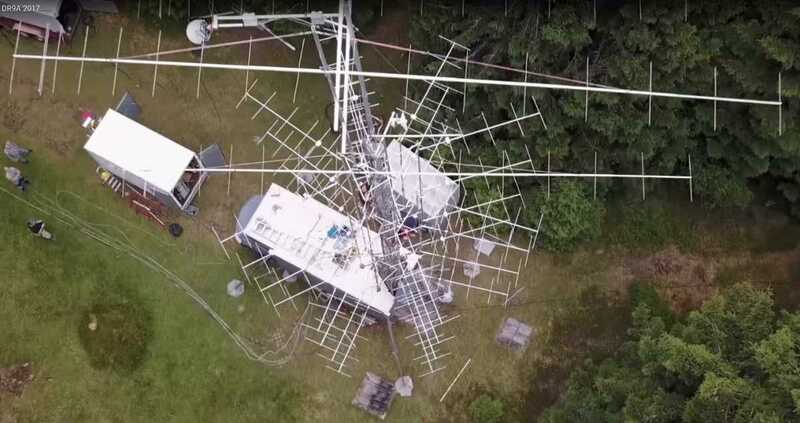 VHF/UHF and Above Contests Just Ahead! 222 MHz & Up Distance Contest: This weekend! The second running of this event runs from 1800 UTC on Saturday, August 4, and concludes at 1759 UTC on Sunday, August 5. If you have gear for 222 MHz or above — even FM — fire it up! Here are the details. The event has several competition categories, including Team and Club Competitions. The Team Competition requires that teams register before the event. There are two sized teams, small (2-5 members) and large (6 to 10 members). Check out the results of the 2017 event. 10 GHz & Up Contest: In just over 2 weeks on August 18-19 the first weekend of the ARRL 10 GHz Contest arrives. The second is September 15-16. Participants may operate for 24 hours on each contest weekend. Each weekend starts at 6 AM local time on Saturday, through 12 midnight local time on Sunday. In recent weeks, the San Bernardino Microwave Society had their tune-up event, and the North East Weak Signal Group had their picnic with microwave range testing, offer members an opportunity for performance tweaking. If you have gear for 10, 24, 47, 74 GHz or higher, these are the weekends to dust them off and have fun. Last year’s results are on the ARRL website. ARRL September VHF Contest: In about 6 weeks, it will be time for the ARRL September VHF Contest. This event begins at 1800 UTC on Saturday, September 8, and runs through 0259 UTC on Monday, September 10. All bands and all modes above 50 MHz are allowed. See the full results from 2017. The ARRL Contest Rules page has links to more information on these and other events. Also, see also our new online certificates page, where you can download current or past award certificates for many ARRL contests. Contact the ARRL Contest Branch for more information.